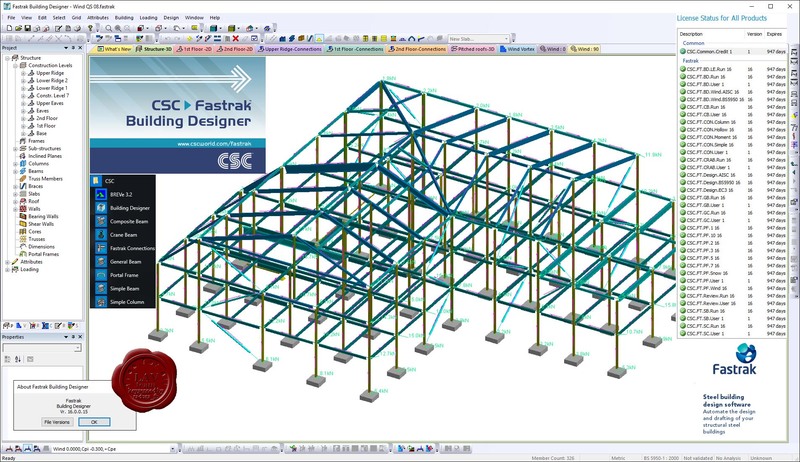 Fastrak is steel building design software. Design any simple or complex steel building with speed and ease. Work with real physical objects such as beams, columns and slabs. Choose from British Standards (BS), Eurocodes (EC) or US codes. Save time with features such as automated wind loading, composite design and web openings. Quickly assess design alternatives to establish the most cost-effective solution. Produce clear and concise documentation including drawings and calculations. Handle project changes easily and efficiently. Synchronise with leading BIM platforms such as Autodesk Revit. 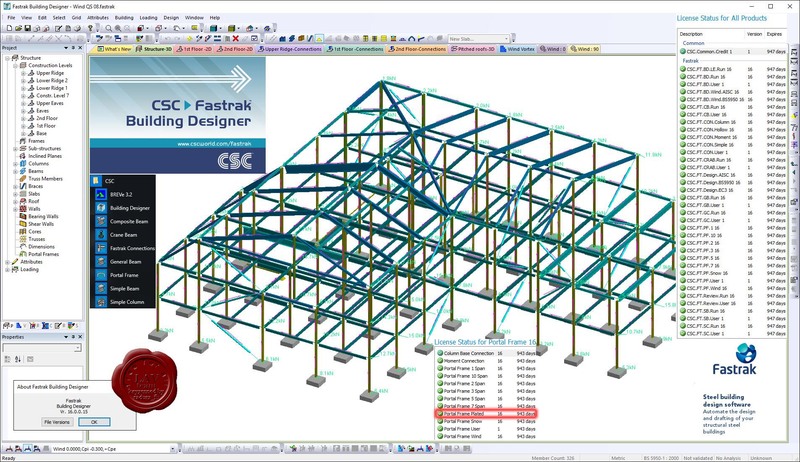 Seamlessly integrate with Fastrak Connection Design and Fastrak Portal Frame modules. 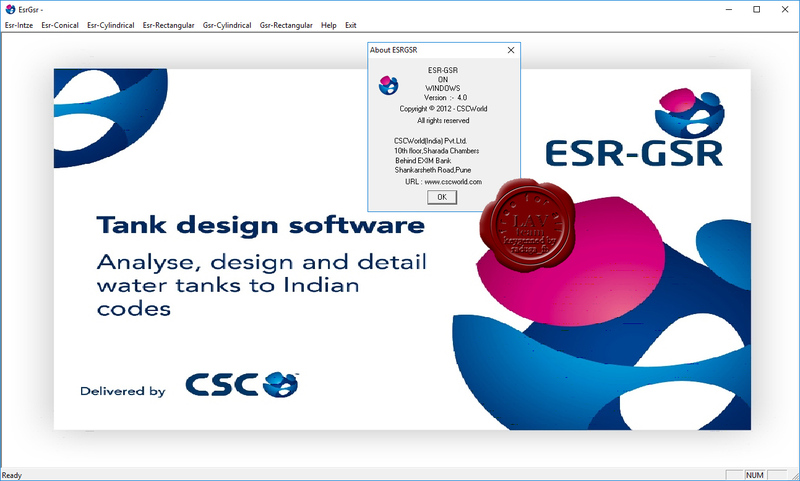 It is an unique software for structural analysis, design & detailing of underground & overhead water tanks. Integrated modelling, analysis, design, drafting & estimation environment. Hydrodynamic analysis & Continuity Analysis Completely automated Seismic and Wind load analysis & design. Automatic generation of detailed drawings as CAD files. 3-Dimensional static and dynamic analysis of staging using Stiffness Matrix Method method. Automatic 3-D frame generation from the data given in interactive dialogs. Response spectrum method for seismic analysis. Automatic computation of earthquake & wind loads. The design is highly interactive & designer can overwrite any results produced by the software. The design strictly confirms to relevant design codes. Design can be produced for worst load combination or any specific load combination selected by the user. Save time with features such as automated wind loading , composite design and web openings. 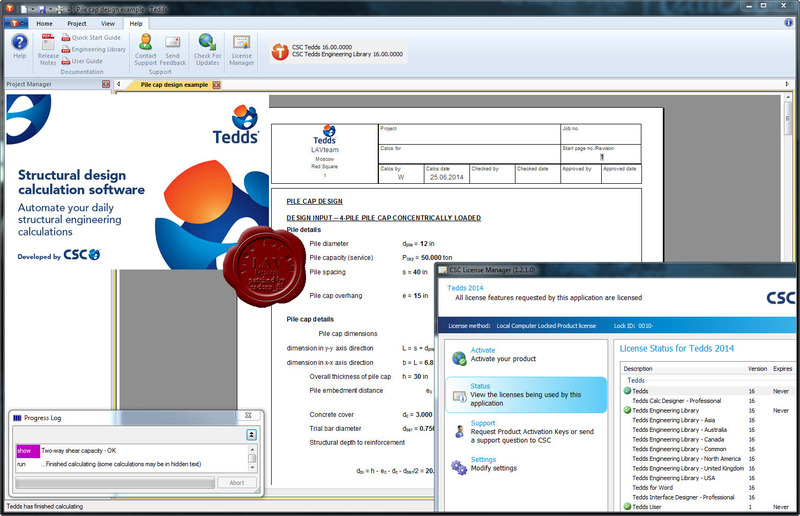 Tedds automates your daily structural calculations. 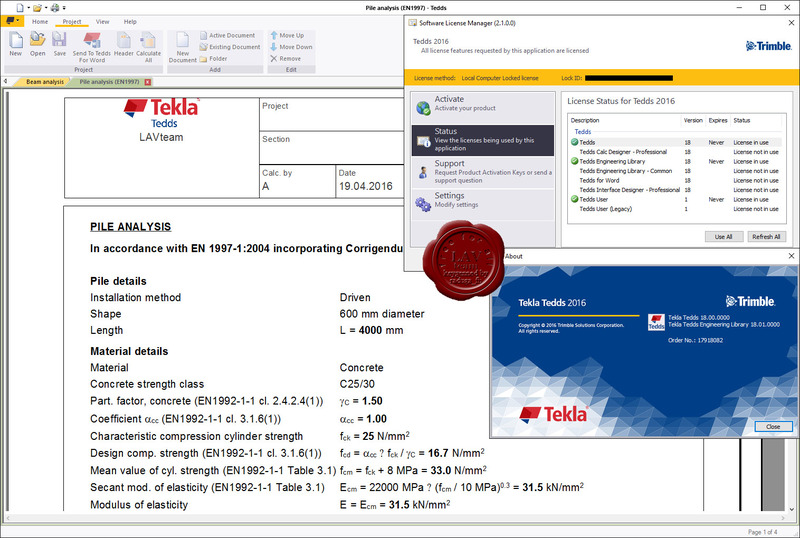 Tedds 2016 includes a new and fully integrated 2D frame analysis application along with many new and enhanced calculations to British Standards, Eurocodes and US, Canadian and Australian design codes. It is twice as fast as its predecessor and compatible with Microsoft Word 2016. 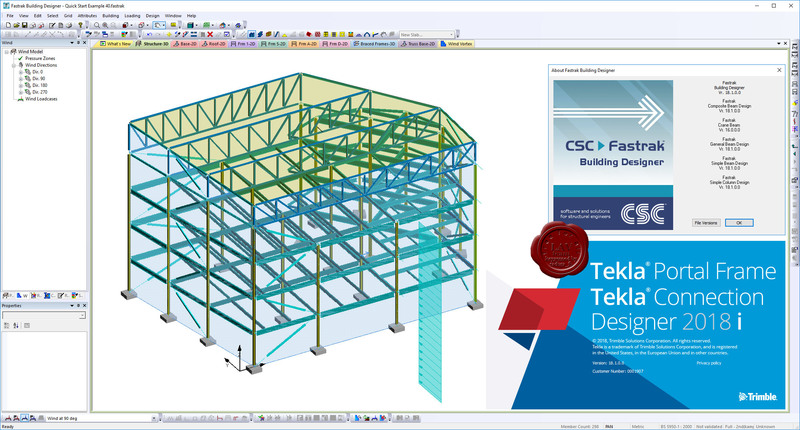 Tedds 2014 includes a new and fully integrated 2D frame analysis application along with many new and enhanced calculations to British Standards, Eurocodes and US, Canadian and Australian design codes. 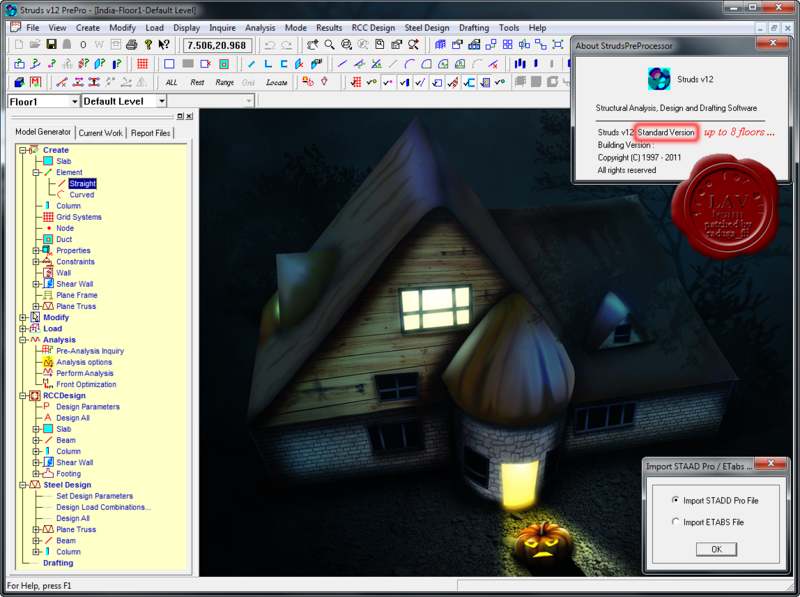 It is twice as fast as its predecessor and compatible with Microsoft Word 2013. 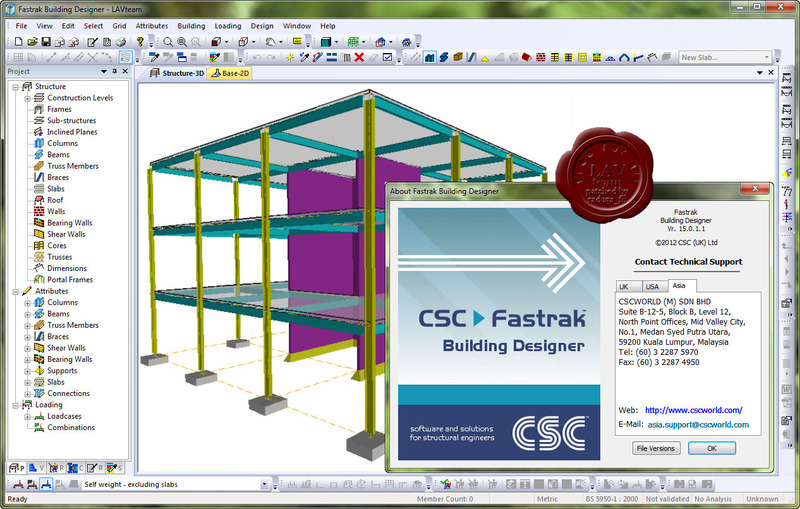 Struds is software for designing concrete structures to Indian codes. Design multi-storey and high rise concrete buildings quickly and easily. Design all building components including slabs, beams, columns, shear walls and foundations. 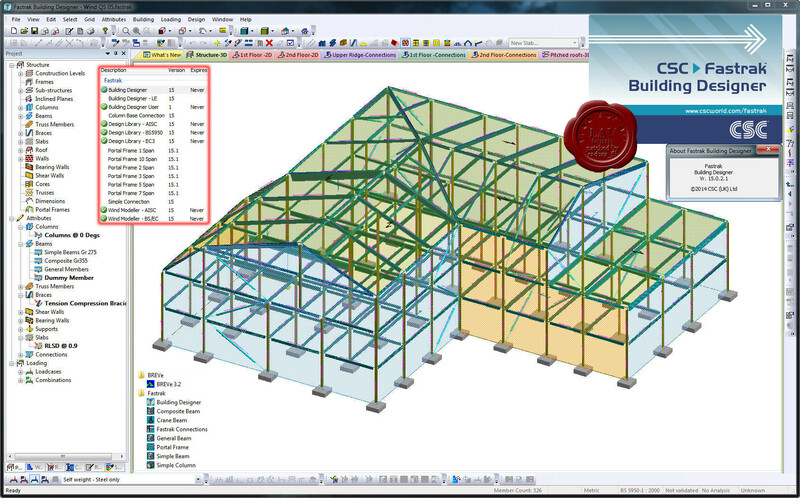 Model, analyse & design steel components; beams, columns & trusses to ISO800:2007. Apply a variety of loads like UDL, point loads and external moments to the model. Perform seismic analysis as per IS:1893. Create foundation designs including options for stepped footings. Generate detailed CAD drawings, design schedules, BOQ and calculation reports. Import and export building models with other structural software. 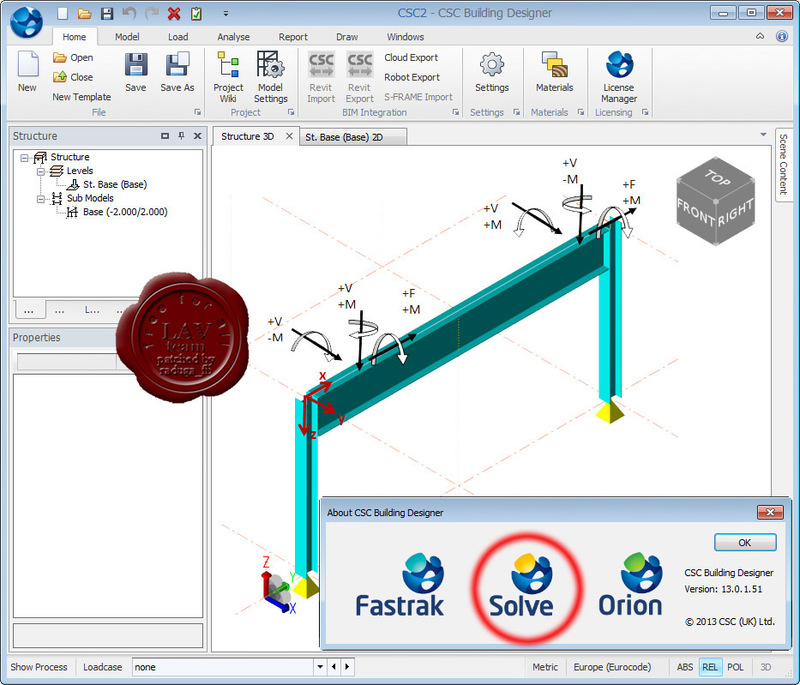 Solve 2013 is CSC's brand new Finite Element analysis package. Boasting a new and intuitive interface, fast performance and a host of powerful advanced analysis functions, Solve is unlike the many traditional analysis packages currently available.